Yosh! 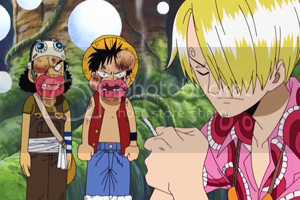 Let's say I'm Usopp and Luffy. Would someone be kind enough to be Sanji? I know, I've been behind the curtains for a while now. But fret no more! I will never give up on this site (unlike most people out there, ahem). Anyway, just purged a handful of comments. Looks like "nyah" is common nowadays.